You may have heard the latest buzz about the new product by Nuun. They have done it again; an effervescent tablet that you drop into your water bottle that will deliver fast energy through a unique blend of carbs. When used in conjunction with Nuun Active, you get the perfect sports drink without the added artificial colors and flavors. I prefer to keep my diet fairly clean, so I was thrilled to give it a try. As a competitive athlete for Team Nuun, I was given some samples to try. Plus for Nuun is designed to be used with Nuun Active, so I placed two tablets of Plus and one tablet of watermelon Nuun Active into my water bottle per instructions. Since Plus is flavorless, it takes on the flavor of the Nuun Active tablet so you can customize the flavor to your preference. 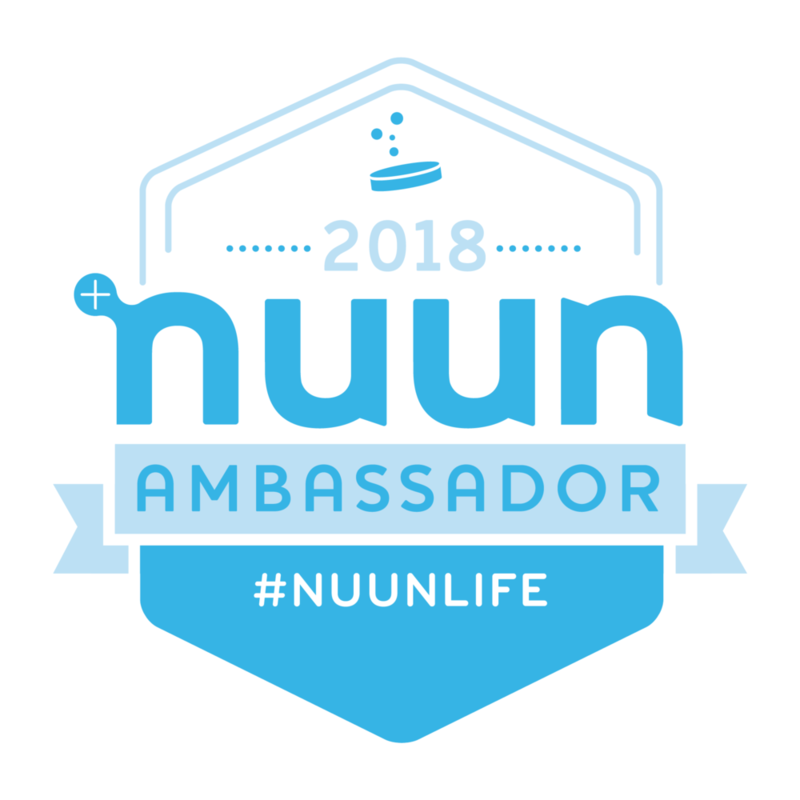 I have been a fan of Nuun Active for several years now, and I really enjoy the light and refreshing flavor during a run, so I was curious to see how it tasted with the Plus. Due to the dextrose and sucrose found in Plus, it does change the flavor of the Nuun Active a bit, making it slightly sweeter. This is the carb portion of Plus that will help deliver fuel faster to the body. I was scheduled for 13-mile long run, so I decided this would be the perfect time to give it a try. After a few swigs during my warm up mile, I noticed that it did give me a bit of a sweet after taste in my mouth that I didn’t get with just the Nuun Active tablet. After six miles, I usually take in some fuel, but I decided to give Nuun Plus a try without it to see if there were enough carbs to sustain my energy. I could begin to feel my energy fading as I was reaching mile 7, and at that point I was almost done with my water bottle and my Nuun. At mile 13, I realized I definitely needed to fuel mid-run, which Nuun Plus suggests doing anyway. The following weekend, I ran the Avocado Half Marathon in Fallbrook, California. This course was very hilly, so I needed a lot of extra fuel to get me up those hills. It was a tough run, exhausting to run rolling hills all 13.1 miles with very few flat areas. I tried the Nuun Plus again, and this time I did take in my usual Huma Chia Energy Gels at the halfway mark. My pace was slow, due to the rolling hills, so it was hard for me to judge whether or not the Nuun Plus helped my performance. Well, I really put Nuun Plus to the test when I ran the Rock ‘n’ Roll San Diego Half Marathon the following weekend and set a new PR! Yes, I do believe it did work! Not only did I set a new PR, but I felt great the entire race. I managed to maintain a comfortable yet challenging pace without completely depleting myself. The combination of Nuun Active, Nuun Plus and Huma Chia Energy Gels worked together to help me stay fueled and hydrated for the duration of the 13.1 mile race. The Nuun tablets' effervescent technology causes the body to start absorbing the fuel, electrolytes, and fluids the moment they enter your body for fast-acting hydration and performance. Since I was maintaining a steady fast pace, I needed fast-acting fuel to stay on pace. Another bonus, the ingredients are designed to work together with your fuel so your body can perform better without any GI issues. When consuming multiple carbs, your body has the ability to do more and perform at its best. I can honestly say, I was able to maintain a faster than normal pace for an extended amount of time, 1:43:05 to be exact. That was a 1 minute and 18 seconds than my previous PR from three years ago.